U.S. Navy personnel who are not provided with government quarters may draw a basic allowance for housing. BAH is available to single personnel or married personnel in the 48 contiguous states, Alaska and Hawaii. The amount of the housing allowance is based on your rank or, for enlisted personnel, your location, your rate, and whether or not you have dependents. Your housing allowance varies by location. According to the Navy, it costs more to live in Washington, D.C., than to live in Millington, Tennessee. For enlisted personnel in pay grade E-4 who are stationed in Washington, D.C. and living off-base with dependents, BAH is $2,034 per month. An E-4, a petty officer 3rd class without dependents receives $1,554 per month in BAH. In Millington, Tennessee, though, the BAH for an E-4 with dependents is $1,227 per month. Without dependents, the E-4 stationed at Millington Naval Air Station receives $951 per month. The size of your BAH also depends on your pay grade. At NAS Millington, an E-4 with dependents receives $1,227 per month. There is no difference in BAH because of the size of a family. A captain, pay grade 0-6, an officer with dependents, receives $2,139 per month at the same duty station, almost twice the amount a petty officer 3rd class receives. A captain without dependents receives $1,605 per month. You receive BAH for your pay grade and your location as of January 1 of the preceding year or your BAH on December 31 of that year, whichever was a larger amount. If you received a promotion during that year, BAH is calculated using the higher rank or rate. If the Navy transfers a sailor permanently -- a permanent change of station, or PCS -- to a location where the BAH is lower, the BAH is interrupted and resumes at the rate for the new location. If you acquire dependents, BAH is interrupted and resumes at the higher, with-dependents rate. Likewise, if your dependents leave, the BAH drops to the without-dependents rate If you receive a reduction in pay grade, this change also lowers BAH. If the Navy promotes you during the year, but sends you permanently to a new duty station where the BAH is lower, your BAH doesn't decrease. 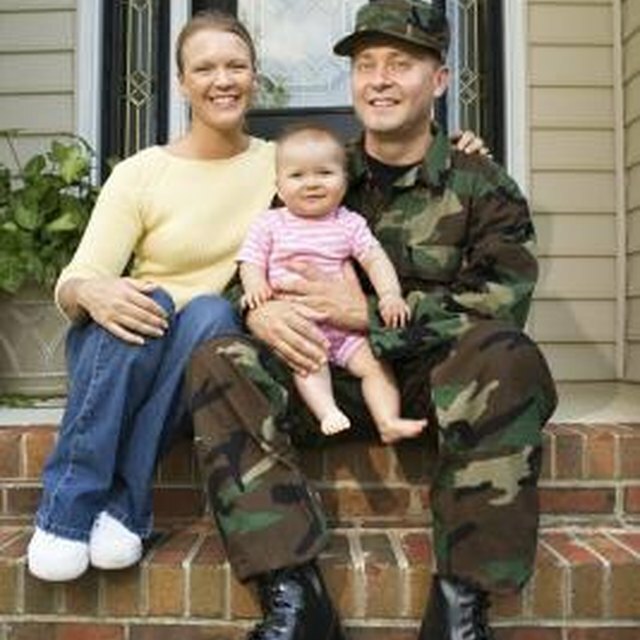 When Applying for WIC If You Are in the Military, Does it Go Off Your Base Pay or Your Total Income? The Navy calculates the amount of BAH for each area using rental data, not the cost of mortgages. According to the Defense Management Travel Office, BAH is based on the median price of rental housing in "Military Housing Areas" around the country, for civilians whose income is comparable to that of personnel in each pay grade. In addition to the current market rent, the amount of BAH includes average utility costs for the area and the cost of renters' insurance.